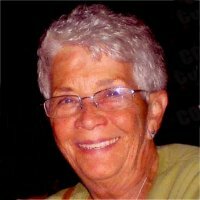 Judith C. Burns-Besse, nee Wittlich ,75, of Belleville, Illinois, born Wednesday, August 18, 1943, in Belleville, IL, passed away Monday, April 1, 2019 at Memorial Hospital in Belleville, Illinois. Judith retired from AAFES as a Visual Merchandiser and was a Life Long Artist. She was a member of St. Mary’s Catholic Church, Belleville, IL. She was also a member of the Amateur Trap Shooters Association. Memorials: In lieu of flowers memorials may be made to the charity of your Choice. Visitation: Visitation from 10:00 am – 1:00 pm, Saturday, April 6, 2019. Funeral: Funeral Services will be held at 1:00 pm, Saturday, April 6, 2019 at Kurrus Funeral Home, with Msgr. Bill McGhee officiating. Rest in peace Judy! You were a beautiful, talented, energetic woman in life as I’m sure you will continue to be in the after life! Our sympathy and condolences to your family. Condolences to Judy’s husband Ron, her sister Janelle and all of her family. Judy was a delightful beautiful person.